You are here: Home / Why book with a Travel Agent? Making your vacation dreams a reality. The Magic for Less Travel is a travel agency dedicated to making your vacation dreams a reality. We specialize in Walt Disney World, Disney Cruise Line, Disneyland, Adventures by Disney, Aulani, and Universal Orlando Resort Vacations. The agents working with The Magic for Less Travel can help you save time and money on a vacation that is customized to your needs. We know that each guest is unique. Let a Universal and Disney travel agent work with you to design the personalized vacation of your dreams. Life moves fast. Don’t wait another day to create vacation memories that will last a lifetime! Personalized Concierge Services – We can remove the stress and confusion of vacation planning. We work with you to plan a vacation that meets YOUR needs. Itinerary Planning – Let us take care of the details as we make dining and recreation arrangements. Your personalized itinerary conveniently notes important reservation and dining information as well as park hours, parade times, fireworks times and more. You won’t miss any of the magic. Knowledgeable, Experienced Agents – We have stayed at all of the Disney and Universal Resorts. We have visited all the theme parks, and have eaten at all the restaurants. Let us put our experience to work for you. 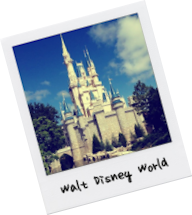 Book with a Disney travel planner who has personal experience. Professional Agents – All of our agents are graduates of The College of Disney Knowledge and Universal Specialists. In addition, we have CLIA Accredited Associate Cruise Counselors and Master Cruise Counselors as well as Certified Travel Associates (CTA) and Certified Travel Counselors (CTC). Our training helps us provide you with the best service. One On One Consultation – You work with one agent who knows you and your needs when planning your Disney vacation. Communication is easy and timely. Best Pricing & Discount Checking – We check both published and non-published discounts to ensure that you get the best price for your vacation. We continue to check for discounts after you book, and will automatically apply discounts to your existing reservation when available. Exclusive Discounts and Promotions – We have our own exclusive specials and discounts. Many of our specials and promotions can be combined with Disney and Universal discounts to help you save even more. Authorized Disney Vacation Planner – The Magic for Less Travel was given this special designation by Disney as a result of our agency’s ongoing focus and commitment to planning customized, magical trips to Disney Destinations worldwide. Always work with a travel planner who knows Disney. Platinum Earmarked Agency – We are one of less than 10 agencies in the country to reach Disney’s highest status as a Platinum Level Earmarked Agency. Universal Specialists – We are graduates of the Universal Specialist courses. We have experienced the theme parks, resorts and restaurants. Our guidance can help will help you jump into the action at Universal Studios Florida and Universal’s Island of Adventure featuring the Wizarding World of Harry Potter. Our Guests Would Recommend Our Services – Our guests don’t just love our service, they would overwhelmingly recommend our services to friends and family. That is a huge vote of confidence from thousands of our guests. Read what some of our guests are saying about us on our blog. VIP Magical Tips – Let us share our best secrets, tips, and strategies with you. You can travel like a VIP guest!